Look outside; what is the condition of your lawn? It may not be what you expected, especially if you have natural grass and you have not taken the time to make sure it looks pristine. Well, no need to worry, when you have artificial grass installed by the best synthetic turf installation company in San Diego your lawn will look perfect and your worries will be a thing of the past. Less work: Maintenance is minimal. It is easy, quick and convenient. Less water: You won’t need to use large quantities of water to care for your lawn and maybe you will need no water whatsoever. With the increasing awareness about water conservation, you should leap at the opportunity to have an artificial grass installed, which will help you conserve water. Save More: There will no longer be a need to buy lawn care equipment or pay for gardening services when you have artificial turf. When you have natural grass, these expenses might seem small but over time they definitely add up. No Hassles: Natural lawn needs a lot of care because these areas become your children and pets favorite playground. Rough play on the lawn will cause bare patches which will make it look imperfect. You will need to continuously keep repairing the imperfections and also run the risk of having dirt and debris getting into your home, especially when it rains. With artificial grass, it will no longer be a hassle, these issues will cease to exist. Fewer worries: No need to be bothered about allergens or harmful chemicals that are used when you have natural grass. Artificial grass has no form of toxic chemicals, and they are non-allergenic. Insect infestation or mold on the turf will also be non-existent. 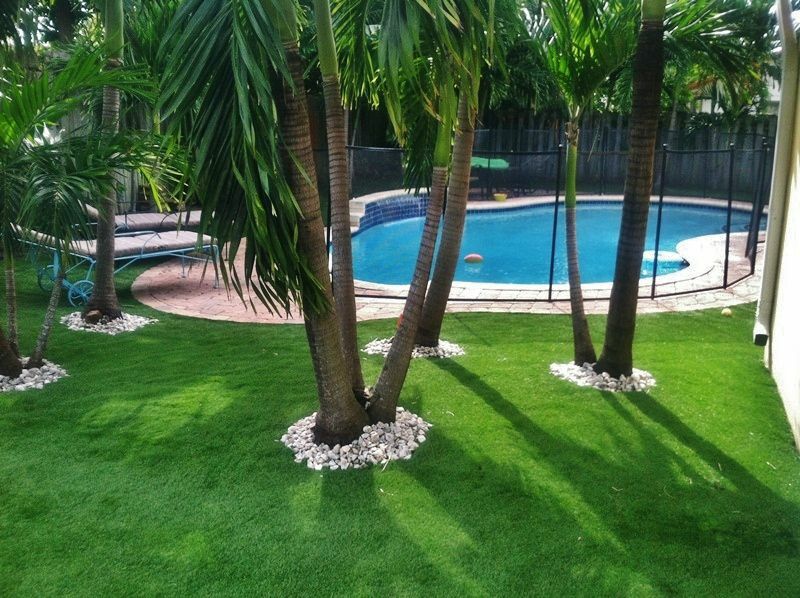 It is exactly what you need: Artificial turf can be installed on any yard, no matter the size of shape. The same cannot be said when natural grass is planted. Your yard will look grand when the installation is finished, and the beauty will remain radiant for many years to come. Another reason why artificial turf is the best choice for lawns is the recreational space that can be created with these artificial grasses. You can have artificial pet turf for a dog run, turf putting greens or a turf playground for your a safe playing space for children. There are a lot of possibilities for an synthetic turf project for your home. After you have had the artificial turfs for a while, you will realize that it the best idea, rather than going through the frequent repetitive maintenance processes required for natural grass lawns. To get your free artificial grass estimate today, or if you have any questions about our great service, contact the professionals at the best artificial grass and synthetic turf installation company in San Diego.